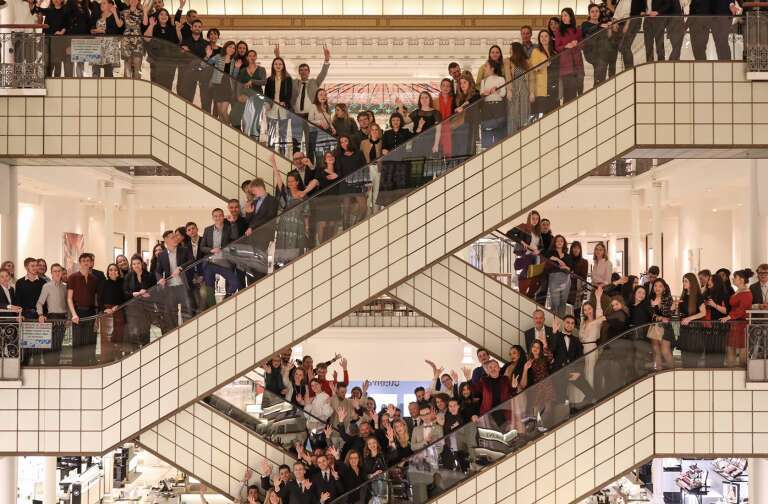 Hublot celebrated the opening of its new global flagship store in New York on iconic Fifth Avenue. The spectacular event was attended by Hublot ambassadors Usain Bolt and Pelé, who joined Ricardo Guadalupe, CEO of the watchmaking house. 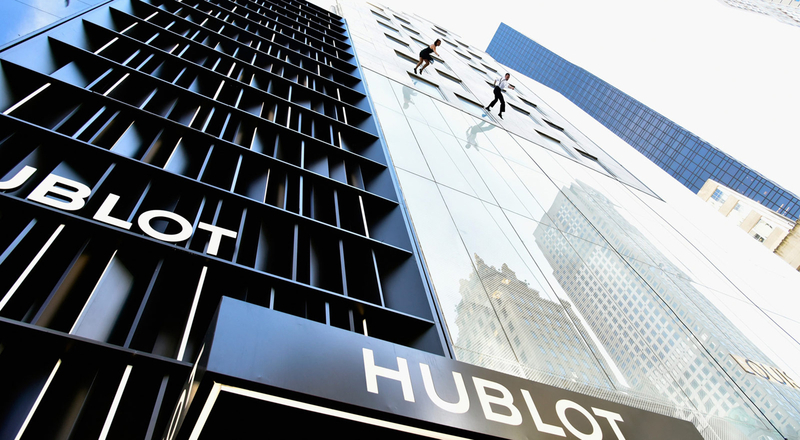 All eyes were skywards for the grand opening of the new Hublot boutique in New York as a duo of acrobatic dancers descended the façade of the Swiss house’s new building. The incredible performance was followed by a presentation of the new limited edition of the Big Bang Unico Usain Bolt, designed in collaboration with the world’s fastest man. 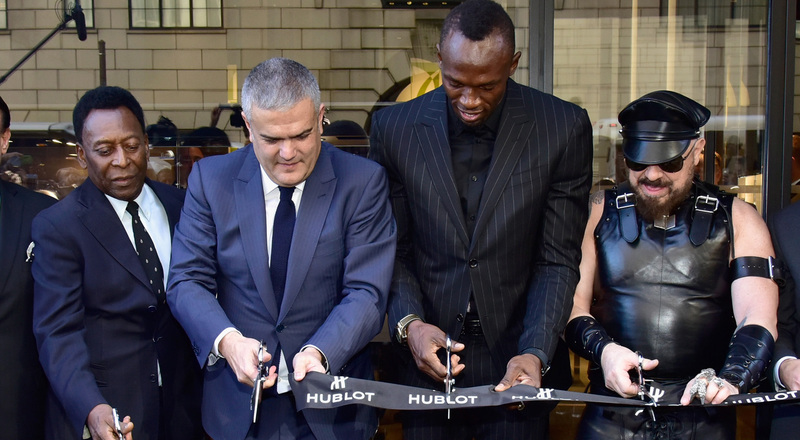 Another well-known Hublot ambassador, living legend Pelé, shared: “I’m honored to be here in New York on behalf of Hublot as it celebrates this exciting milestone!” The two athletes then cut the ribbon along with Ricardo Guadalupe and the architect of the boutique, Peter Marino. 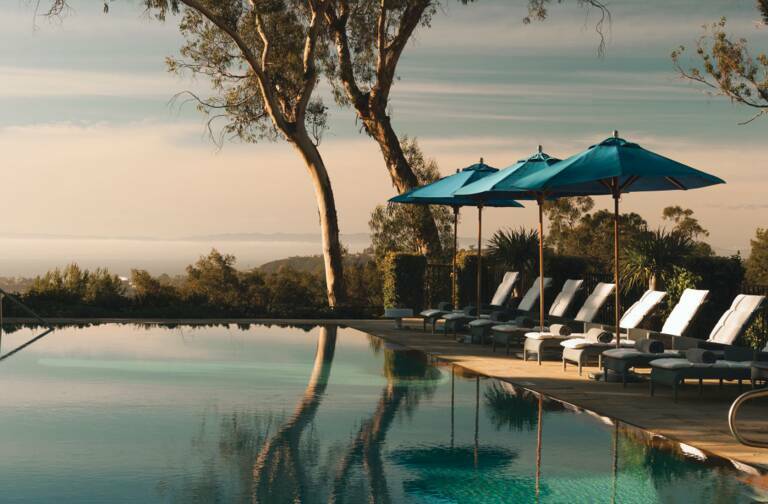 The architect, whose long collaboration with Hublot began in 2010, has created a design that combines the brand’s DNA of luxury and innovation with its Art of Fusion concept. 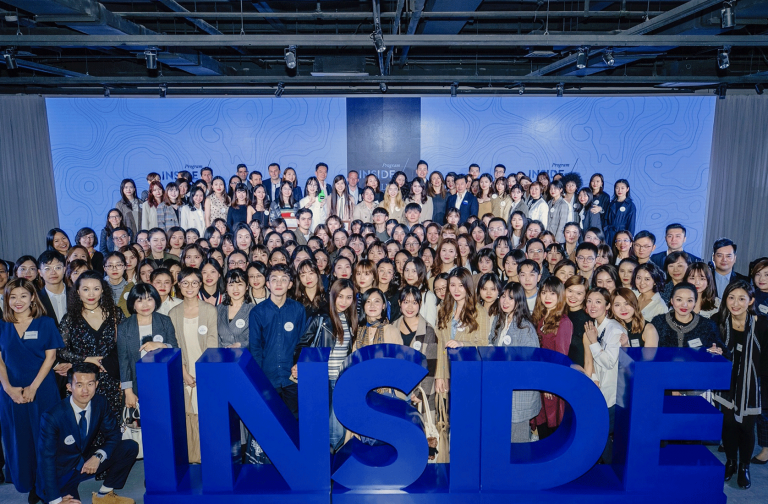 Guests, international and local media, VIPs and friends of the brand were invited inside to discover the 140-square-meter space, with its contemporary style featuring unique materials and high-tech innovations.